So after making the popular Japanese Potato Salad a few days back, I was in the mood again for something contemporary Japanese. 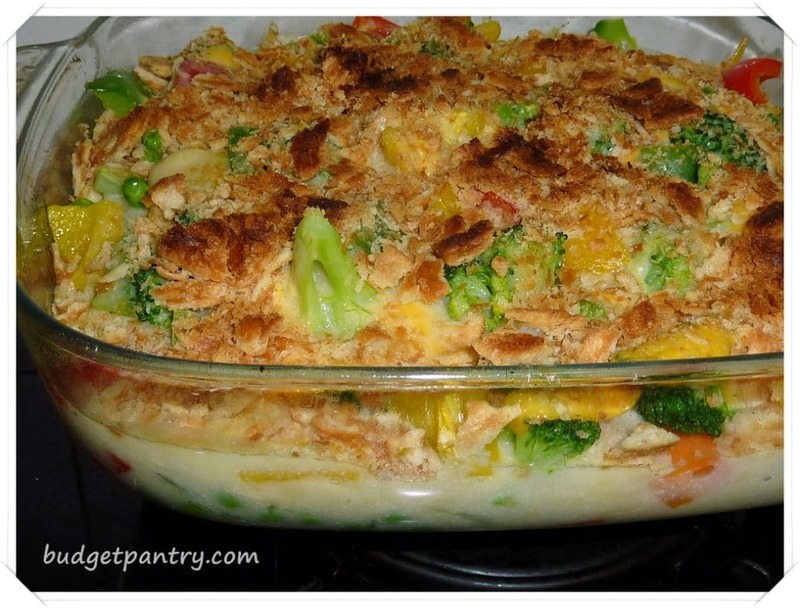 I wanted something supremely easy which is fun to eat. I was getting a bit sick of stir frying food and wanted to do something different. Fried rice is always an easy but boring dish to prepare.. I mean, how interesting can fried rice be? Using essentially the same ingredients as regular fried rice (minus the ketchup), I made Omu Rice for lunch one afternoon. Ah-mm, 88 and Jason raved about how delicious this was, although I don’t think it differed too much from normal fried rice. Don’t tell me the ketchup has super power?! And suddenly I think of the way I used to write in Pink-Pink!!. I guess only “oldies” will understand what I mean. 1. Use a non-stick pan! 2. Heat up the oil and fry onion til translucent. 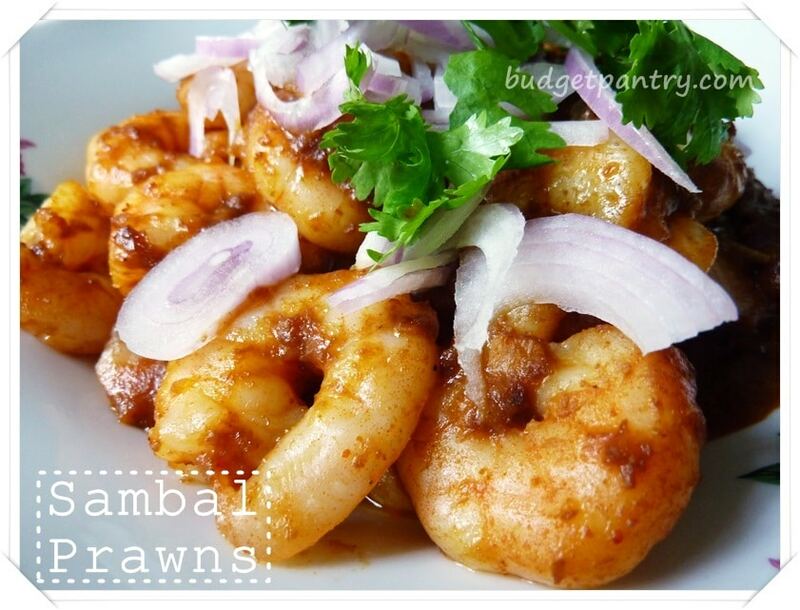 Add minced meat, ham, and prawns (if using) and fry til meat is cooked. 3. Add the vegetables, rice, light soy sauce, ketchup and black pepper. Mix well and remove from pan. Set aside. 4. Beat 2 tablespoons milk with one egg in a bowl. Clean the pan and oil it with olive oil using paper towels so that the omelette slides right off later. Once the pan is hot, pour the beaten egg and swirl it around the pan quickly. Lower the heat once the egg is half solid. 5. 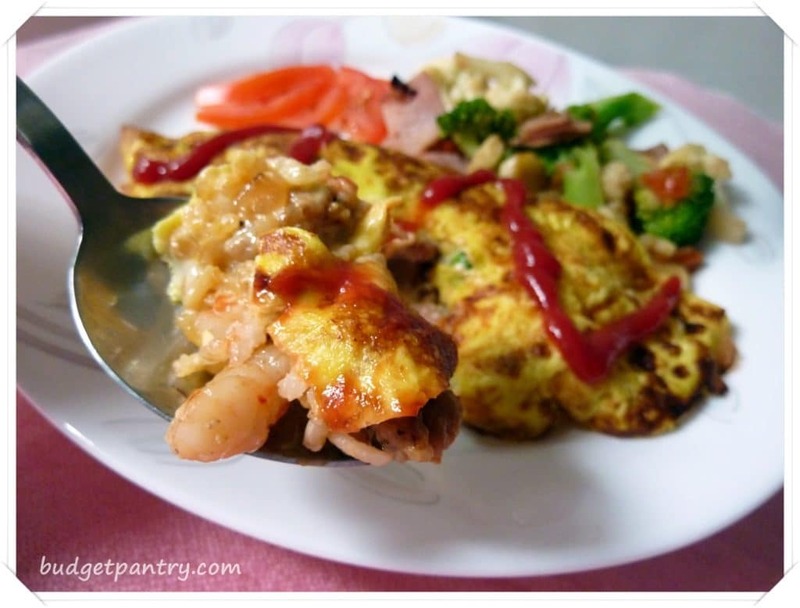 Layer the cheese in the middle of the egg, then put one portion of fried rice on top. Leave some space at both sides of the omelette as you need to fold in both sides quickly once the cheese and rice are added. 6. Fold in both sides of the egg to envelope the rice. Don’t worry, the egg won’t have to “meet” and it is ok for some of the rice to show. Remove the pan from the stove, then flip it onto a flat plate. 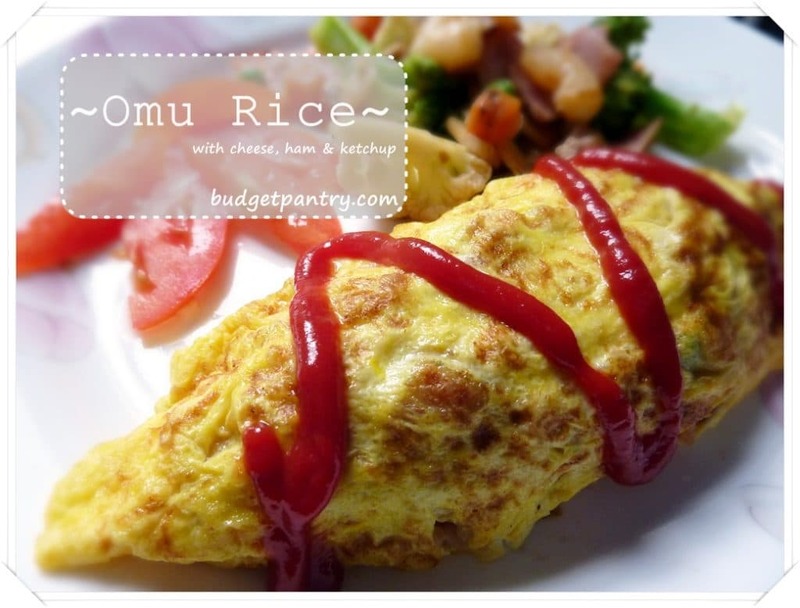 Shape up the omu rice with paper towel to make it neat. Continue to make another omu rice until you’ve used up all the rice. Decorate with ketchup and tuck in! For an extremely useful step-by-step guide, please go to this page from Just One Cookbook which I adapted this recipe from. The amount of time and effort Nami spends on each post makes my jaw drop. I’ve been wanting to make omu rice for some time now because I love tomato ketchup rice, but simply serving ketchup rice is uninteresting. The amount of rice in this one serving is less than your regular rice bowl. Initially I thought it wouldn’t be enough per person, but I guess they were too distracted by the novelty that they said they were extremely full. It was just a little bit of rice and one egg- the same ingredients you would use to cook fried rice. The only difference is, if I had served the fried rice with egg as it is, they would most probably eat double the amount. If a dish is familiar or boring, you’ll tend to eat more without thinking. Presentation really does make a difference.. I’m going to experiment with more colours and more interesting ways to dress up my dishes! Who says you can’t play with your food? My family loved it.. I’m off to exploring more recipes from Just One Cookbook!